To combat its recent rash of suicides, Foxconn has installed safety nets, nixed suicide compensation, raised wages and even considered moving factories to China's interior and increasing automation on the assembly line. The company's latest brainstorm? Foxconn is looking at hiring more mature workers. This comes as last week a 22-year-old female worker fell to her death at a Foxconn manufacturing plant. Two types of anti-psychotic drugs were found in her dorm. Each new Foxconn recruit will take exams that aim to uncover any mental health issues. The company is apparently aiming to hire more "mature" workers. Will "mature" workers be better able to endure Foxconn's shifts? Earlier this year, a young married man died after apparently working a 34-hour shift. 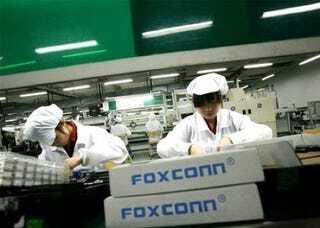 Foxconn assembles the Xbox 360, the PS3, the Nintendo Wii and the iPhone, among many other electronic devices. The Independent has a piece up on the working conditions at Foxconn. It's definitely worth a read.